The Jerald Washington Memorial Founders' Award is the highest honor bestowed by the National Coalition for Homeless Veterans. The award honors the memory of Jerald Washington, a Vietnam veteran who returned home from war and devoted the remainder of his life to helping veterans in crisis. The award is presented to an individual or organization that embodies the spirit of service and sacrifice displayed by Washington throughout his career, and acknowledges their special place in the history of the homeless veteran assistance movement. 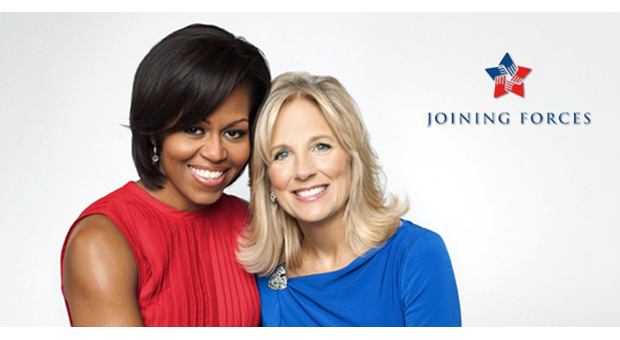 This year the Jerald Washington Memorial Founders’ Award was awarded to the First and Second Ladies of the United States, Mrs. Michelle Obama and Ms. Jill Biden, for their dedication to serving our nation’s veterans through the Joining Forces Initiative. In June of last year, in partnership with USICH, HUD, VA, and the National League of Cities, the First lady launched the Mayors Challenge to End Veteran Homelessness. This challenge opened a new chapter of our work; city officials were put on notice that they had a role to play, and they needed to do it right. Friendly competition has ensued, and every mayor who signs on gets us one step closer to our goal of ending veteran homelessness.